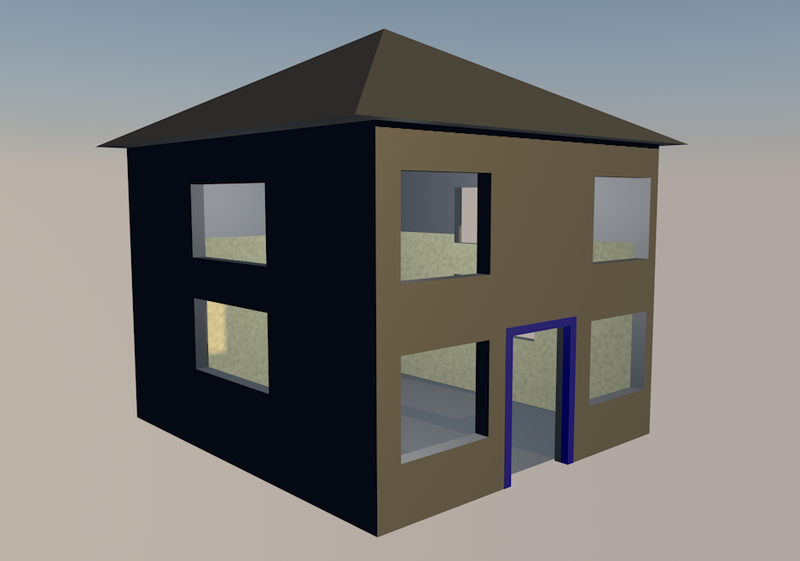 I have constructed the room with walls, door and windows and I have used the boolean to hole the wall and to make the windows and door before I added material. 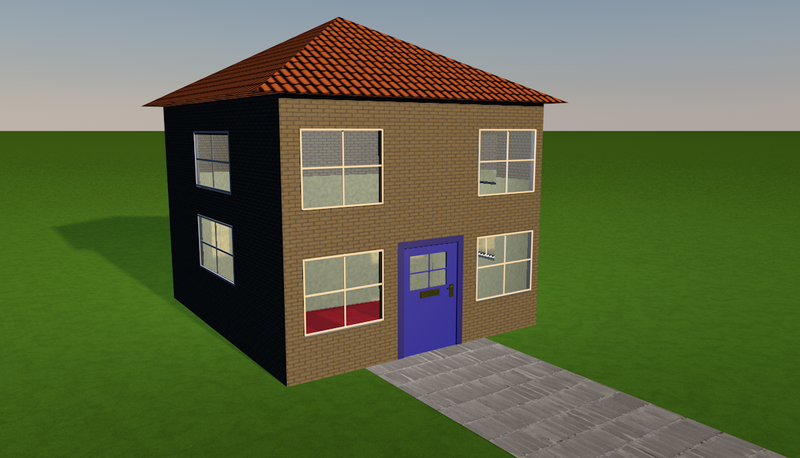 After I constructed the room with wall, door and windows then I have added appropriate materials to complete the house. 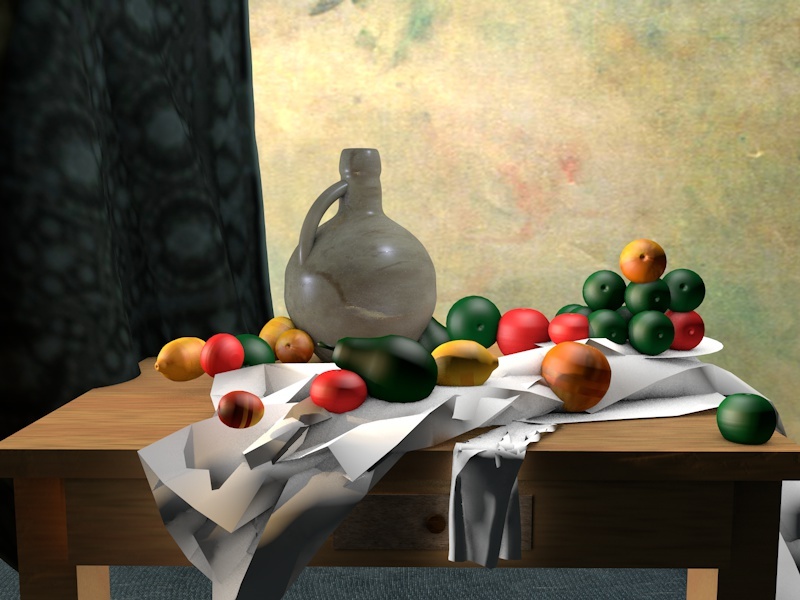 This entry was posted in 3D Modelling & Animation on January 18, 2015 by saadchaudhryme. 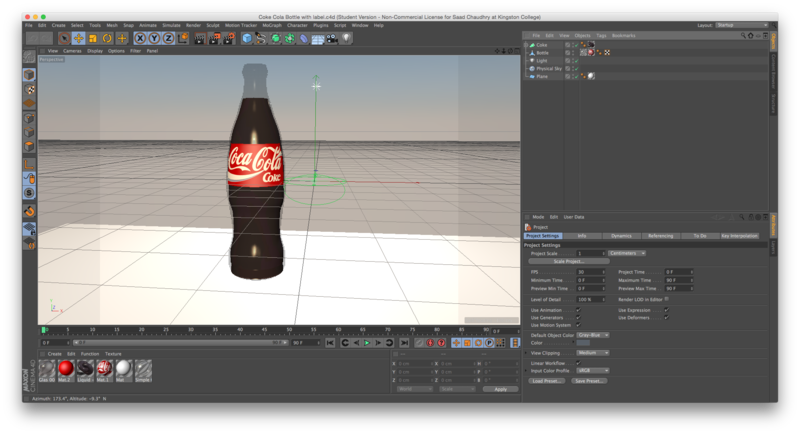 I have made a coca cola bottle by using lathe and added the label on the bottle by using Manipulate UVW mapping. It was easy to use. I am happy with this bottle. 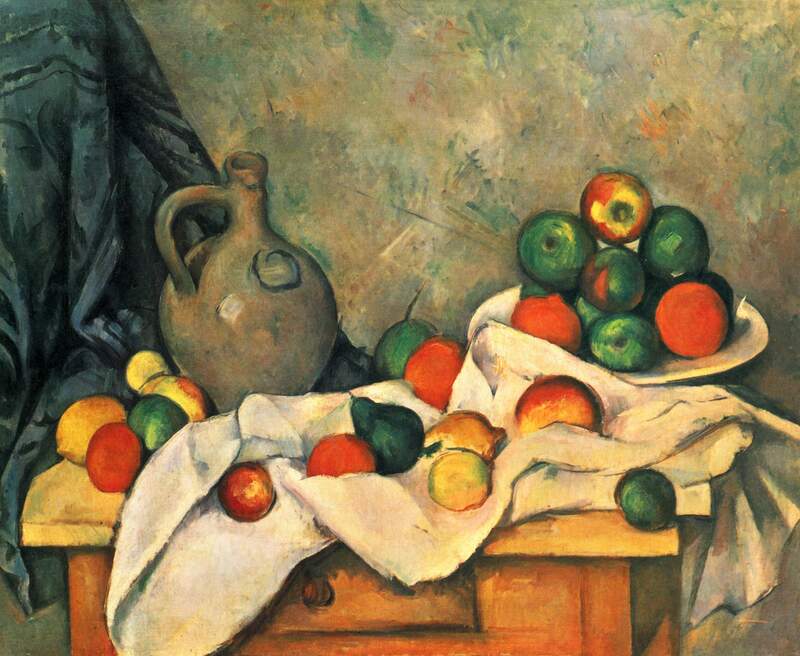 This is the original painting image by Paul Cezanne. 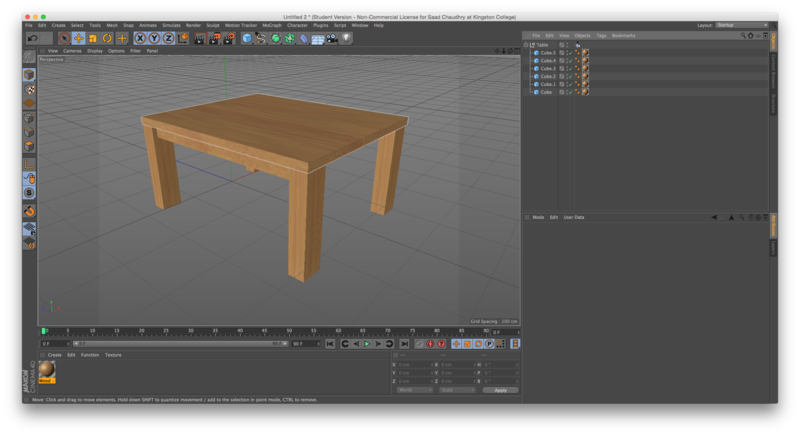 This is the table in Cinema 4D so I need table to put apple, pear, orange, cloth, etc on table so I can’t do this without table. 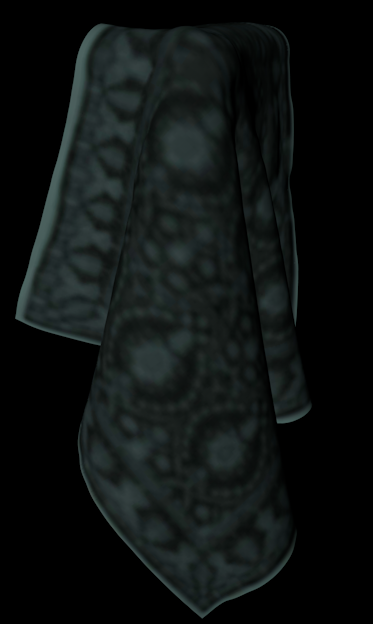 I created the cloth using cloth and cloth collider tools. 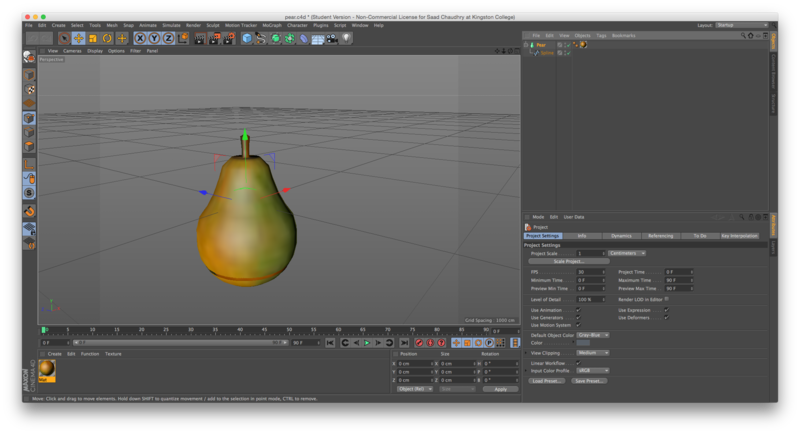 I have created pear by using spline, lathe and used to configure. 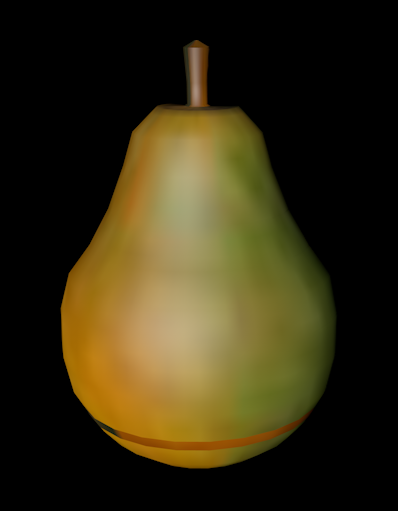 I used configure to created the pear by using spline tool around the image of pear and upload into lathe. 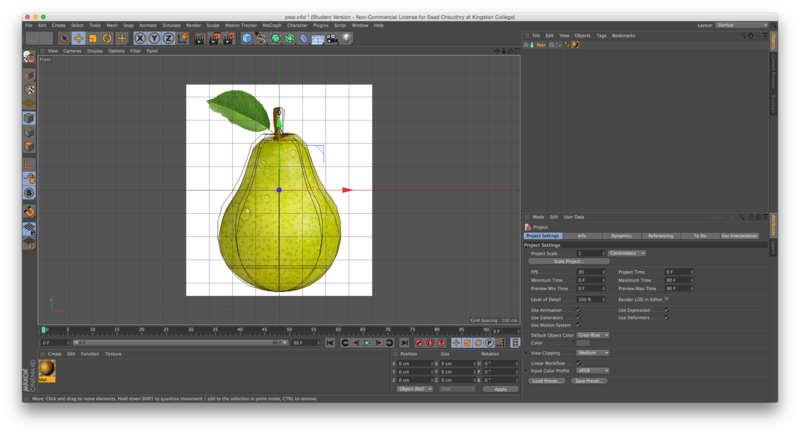 I would find easier to use configure because I would make pear look accraute. 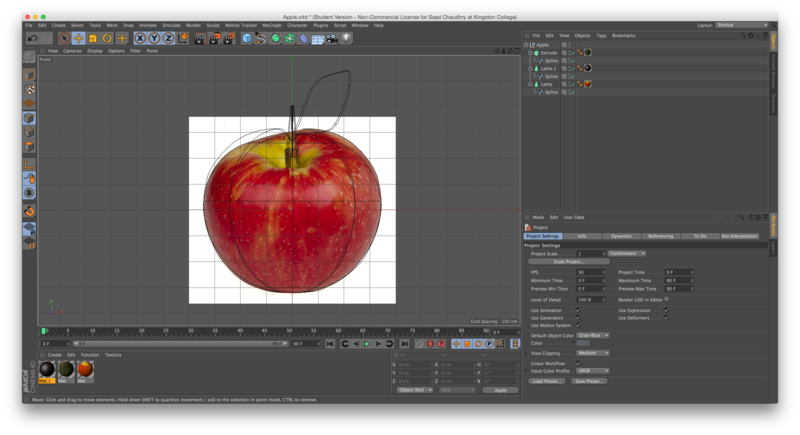 I have created apple by using spline, lathe and used to configure. 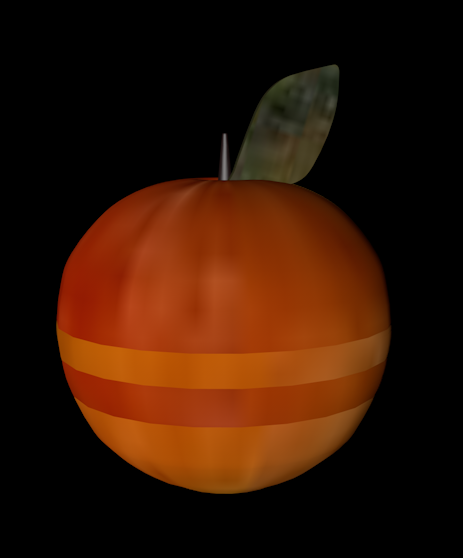 As same the pear when I made first one so I used configure to created the apple by using spline tool around the image of apple and upload into lathe. I would find easier to use configure because I would make apple look accraute. 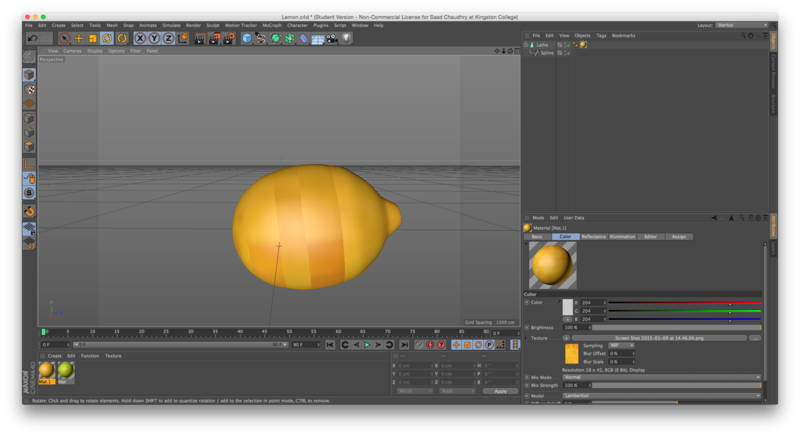 Again….As same the pear and apple when I made first one so I used configure to created the lemon by using spline tool around the image of lemon and upload into lathe. 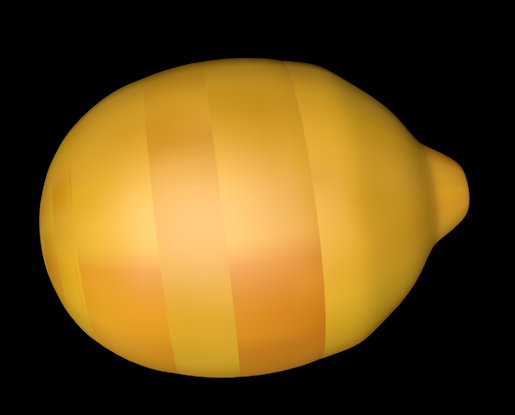 I would find easier to use configure because I would make lemon look accraute. 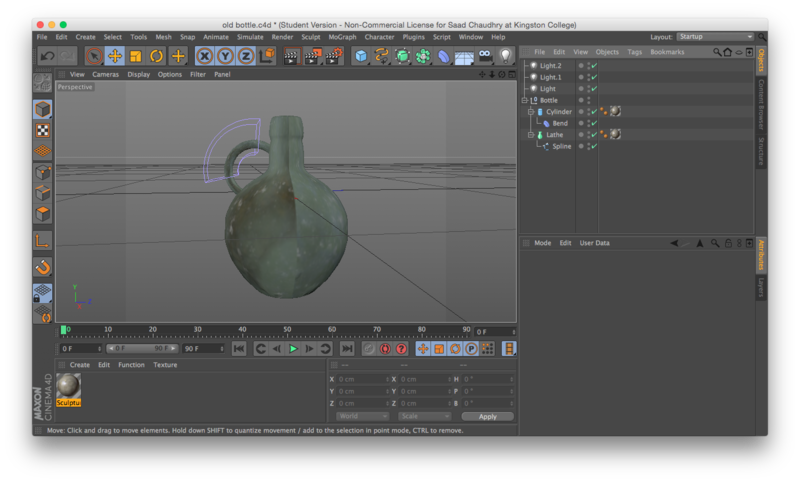 I used configure to create the jug by using the spline tool and uploaded into lathe. 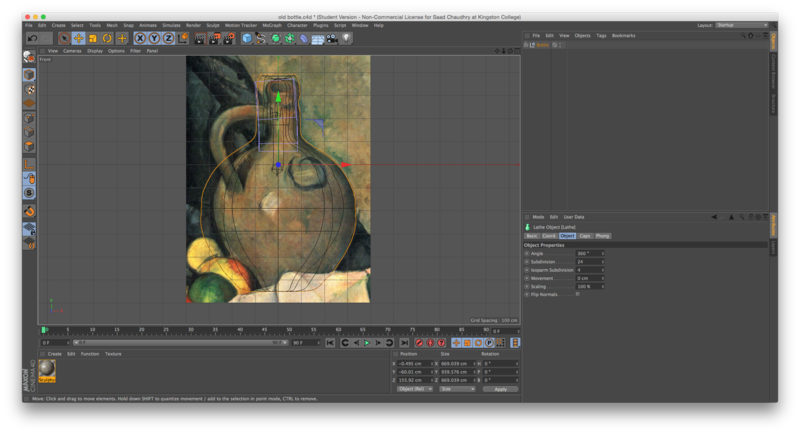 Configuring makes the jug look more accurate. Also, I have made the handle using the cylinder and bend tools. 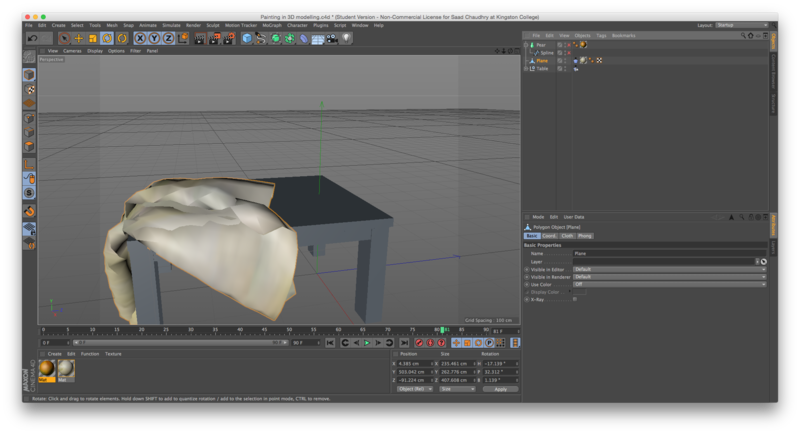 This is How I made in Cinema 4D. I found this project easy enough and enjoyed creating my own version of this painting. 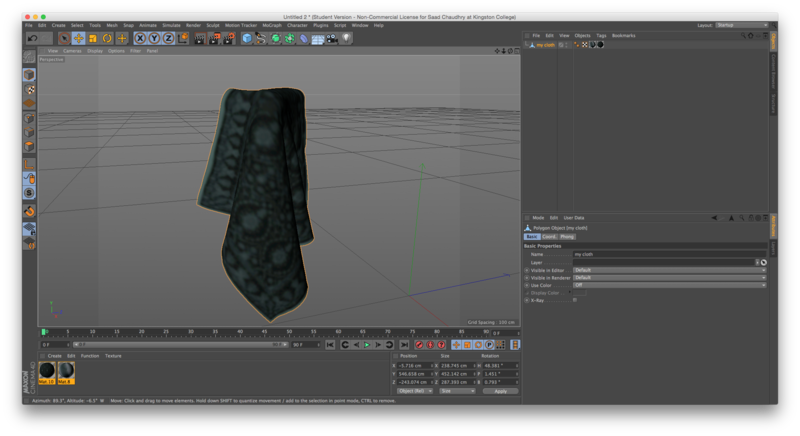 I learnt to use new tools like configure and special tools to design the cloth. I feel confident to redesign and create more. 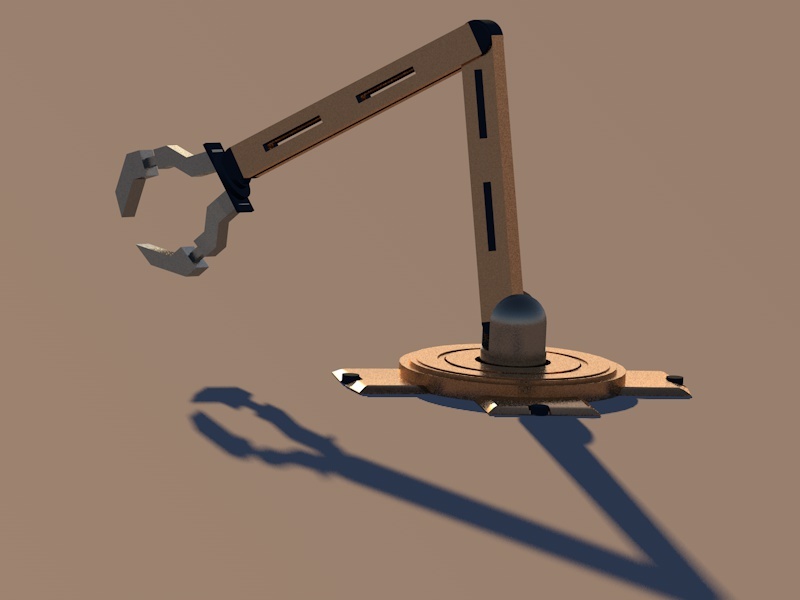 This entry was posted in 3D Modelling & Animation on January 11, 2015 by saadchaudhryme. 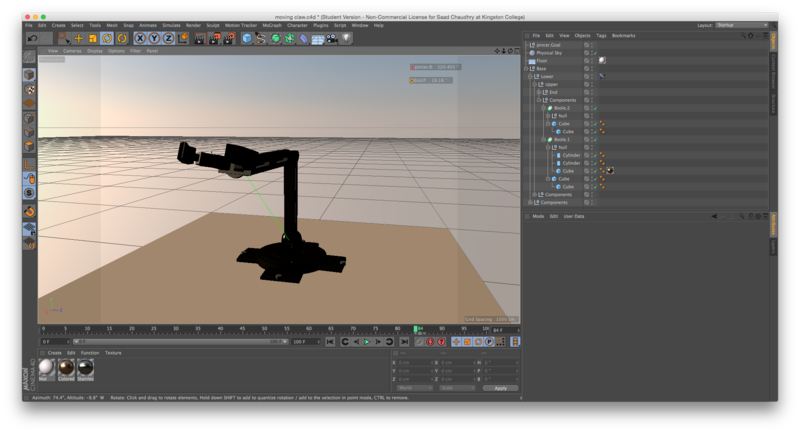 I made a robotic arm in cinema 4D using tools such as cube and excrude. 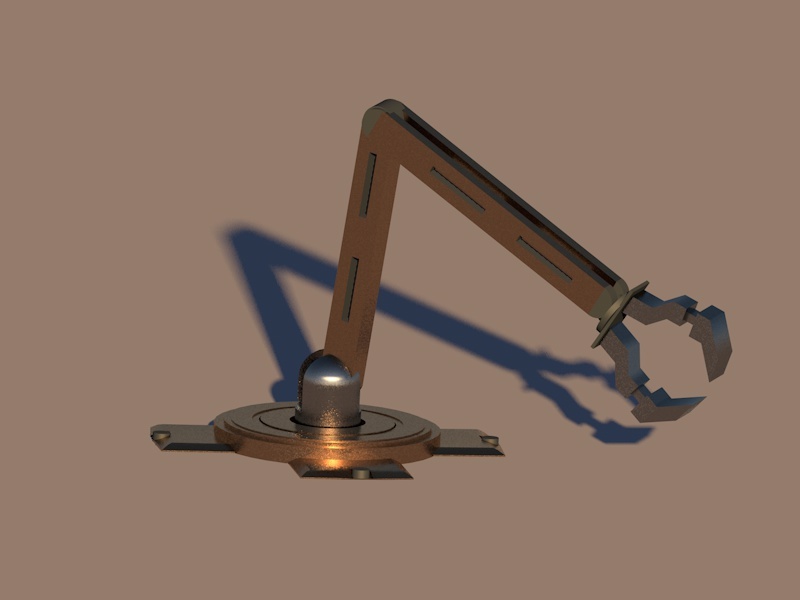 I used forward kinematics to make the arm move. I found this project quite time consuming but managed to complete it in the end. I learnt a lot of new techniques. 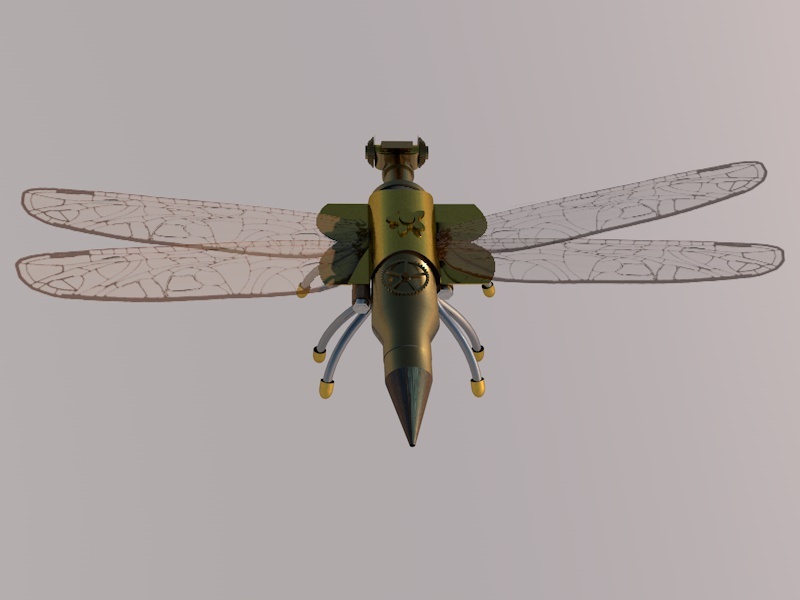 This entry was posted in 3D Modelling & Animation on January 1, 2015 by saadchaudhryme. 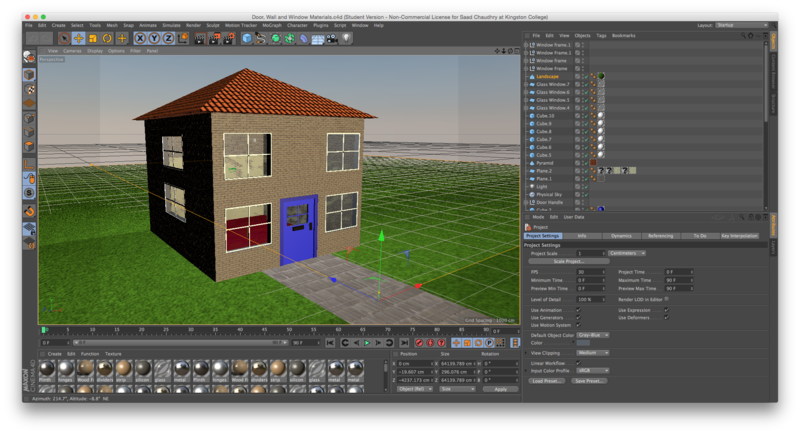 During the lesson we learnt how to use motion graphics on cinema 4d. 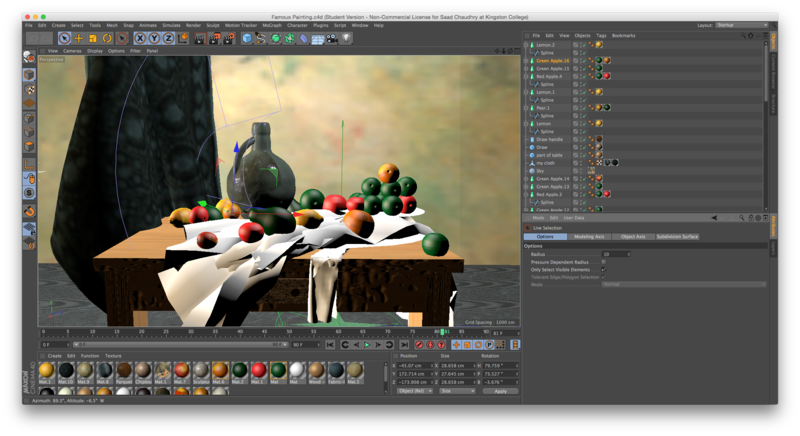 The tools we used were delay, sound and any objects to make motion graphics. It was very interesting and was lots of fun. 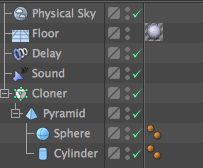 I never knew you could play music on Cinema 4D and had a great time choosing the right sounds. Being deaf though sometimes I can not hear all the beats of the music especially low sounds and high pitched sounds. 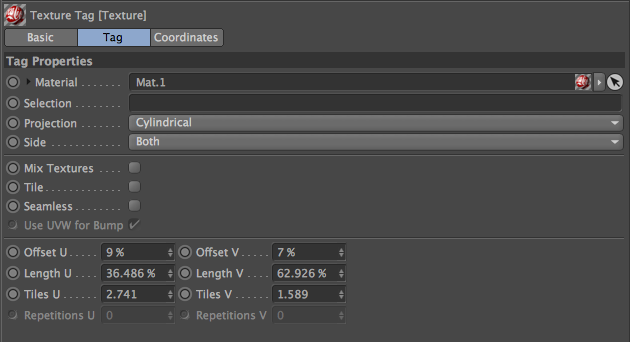 Also you can create music by using MoGraph. 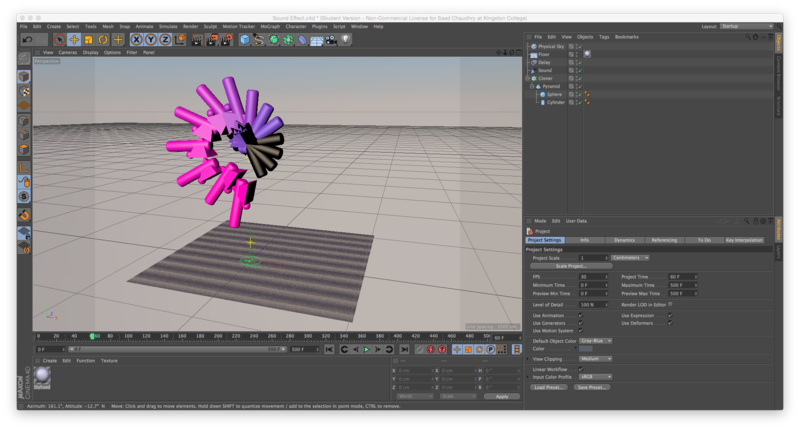 The MoGraph is a good way to create motion graphics and animating the object to move on the beats of the music. Really enjoyed the project and it was nice to be able to move the object to the beats just for my satisfaction that I could hear it. This is my first motion graphic on Cinema 4D. 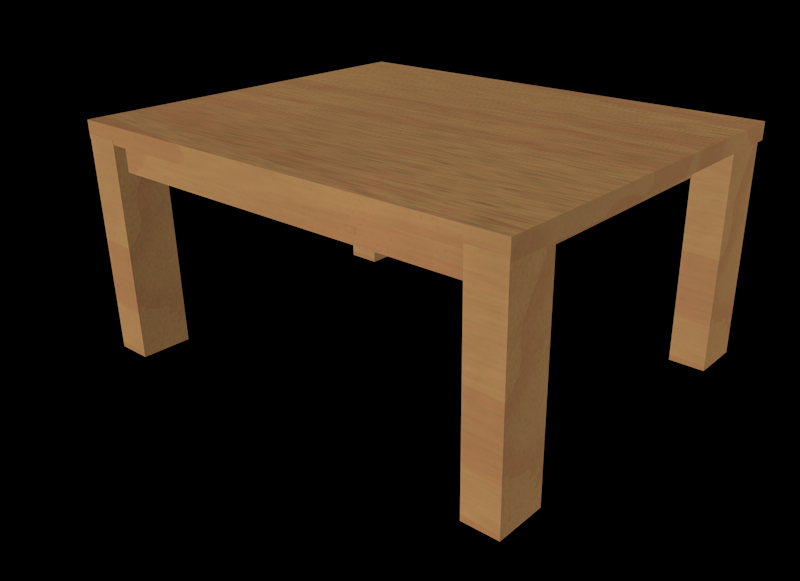 I have added objects eg. 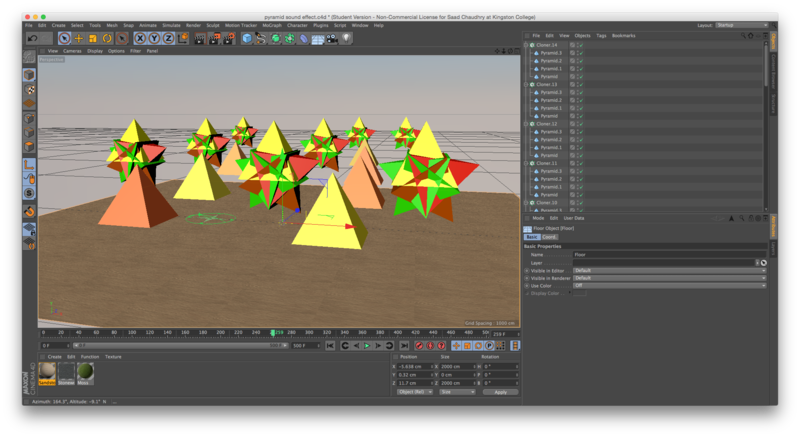 cylinder, sphere and pyramid to join together to make a motion graphics animation. 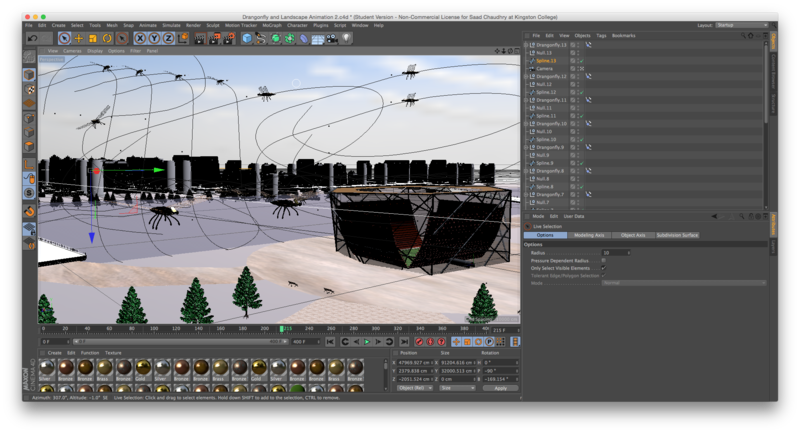 I think I have made a really good start to this piece of work and will experiment with more motion graphics. 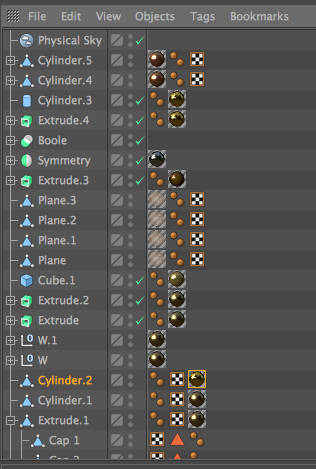 When I rendered the motion graphic the sound was not there when the rendering was finished. I thought I might have rendered incorrectly so tried again. Again no sound. I could not figure out why this was happening. I checked out the tutorial and hey presto there was all the info I needed to connect the sound. Followed the tutorial and like magic after rendering the sound was there. Here is an example of how I was able to render and connect the sound. I did another experiment and this time added pyramids together and designed the pyramids to jump up and down while music is on. I chose an Arabic song to keep with the Egypt theme. 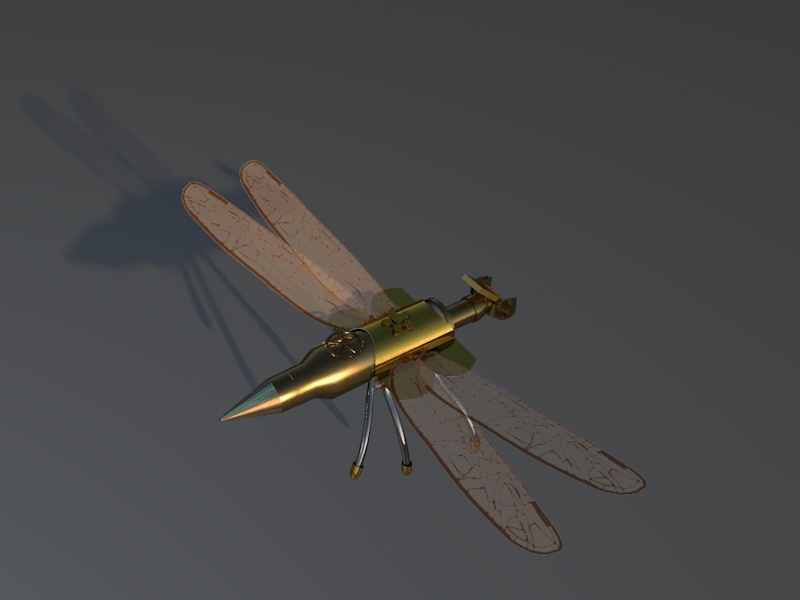 This entry was posted in 3D Modelling & Animation on November 23, 2014 by saadchaudhryme. We learnt how to create a video similar to the pin art toy. I chose the advert for Nike during the world cup. 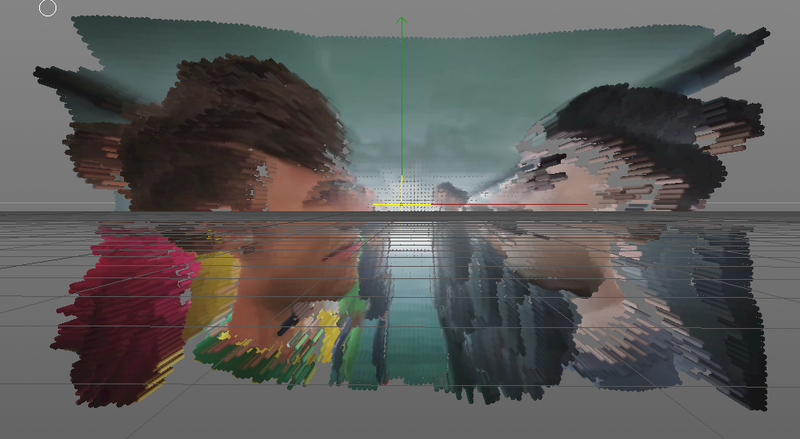 I rendered the video but there was no sound. 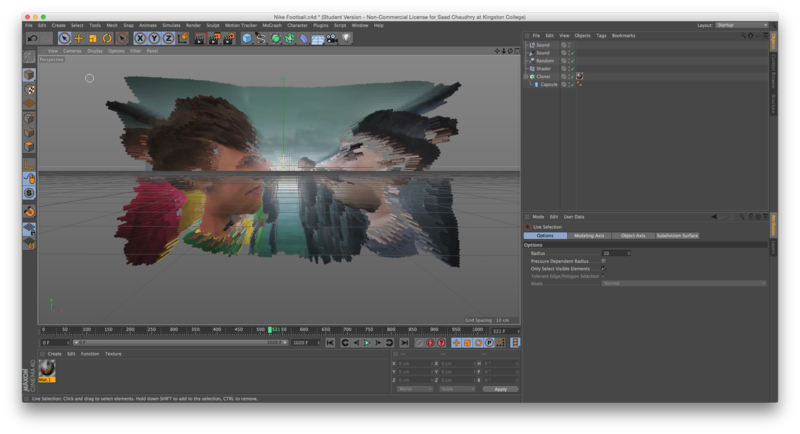 I tried rendering a couple of times but each time occurring the same problem. 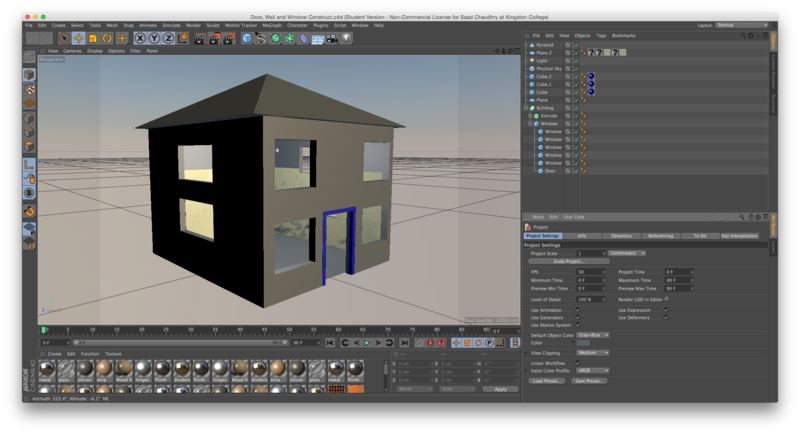 Checked out the tutorials and found how to add the sound for the final rendering. 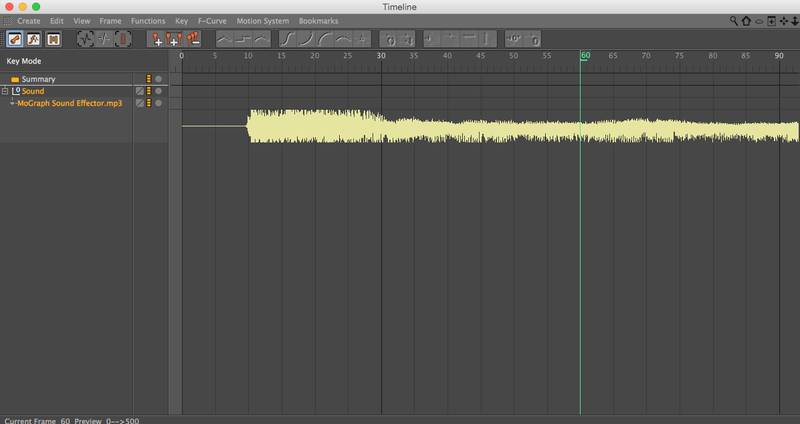 Finally it worked and know now that the sound has to be added as a separate file. 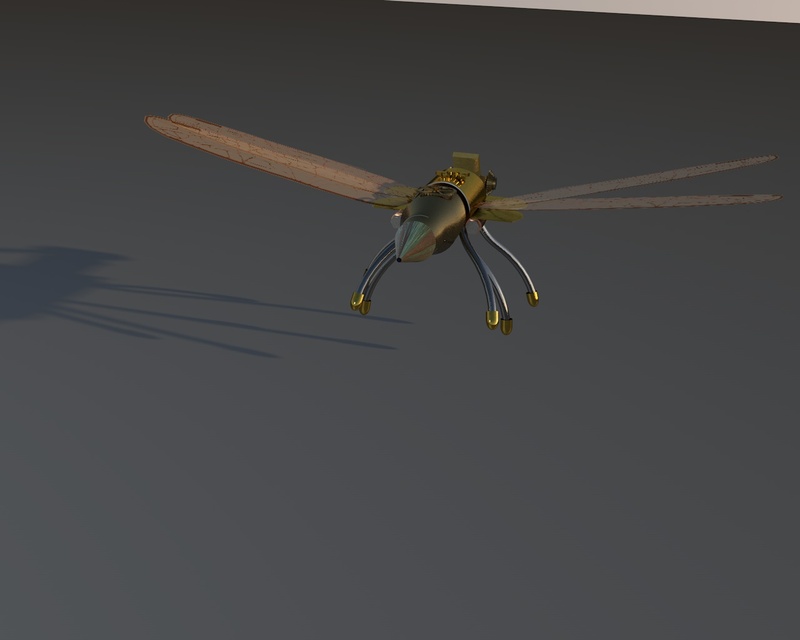 During the lesson, I created a dragonfly robot in Cinema 4d and copied from http://www.arthrobots.com/mechanisoptera-dragonflies.html#. 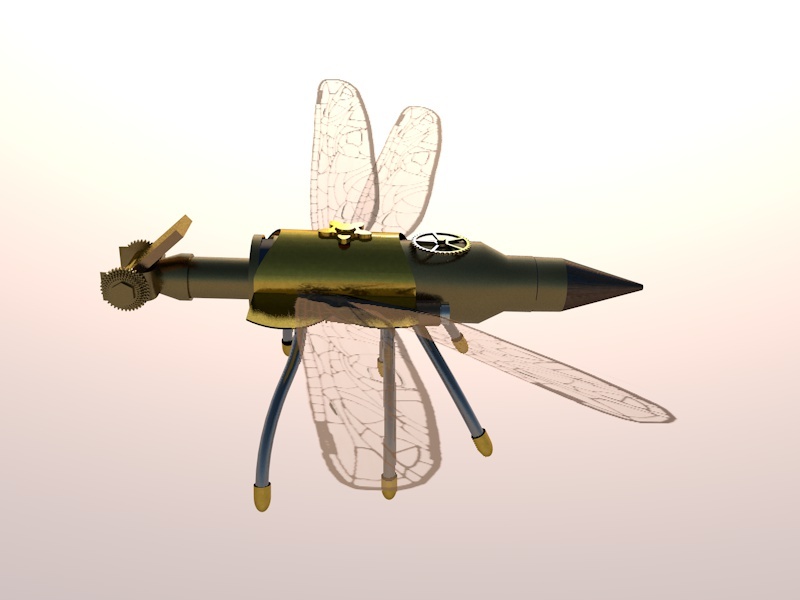 I have chosen an original image of a robot dragonfly. 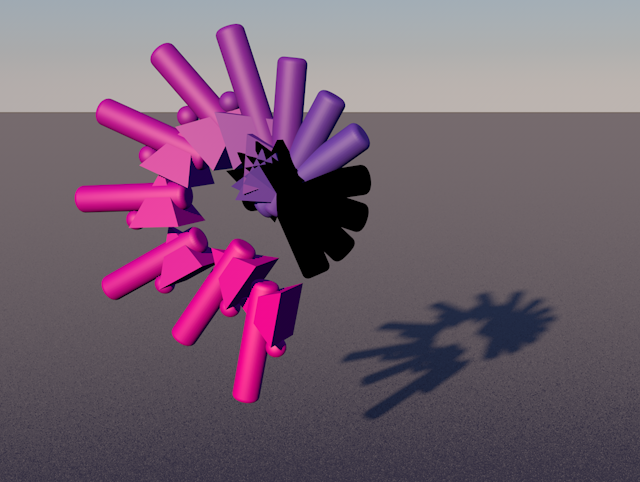 When I looked at the image it was quite daunting as I could not figure out how this could be created in cinema 4D but I was going to give it my best shot anyway! 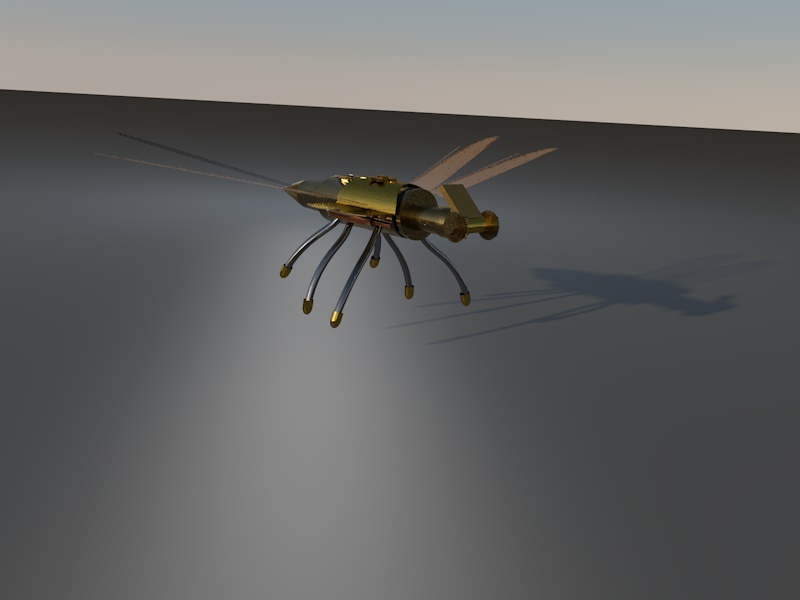 This is the dragonfly robot in Cinema 4D that I have created. 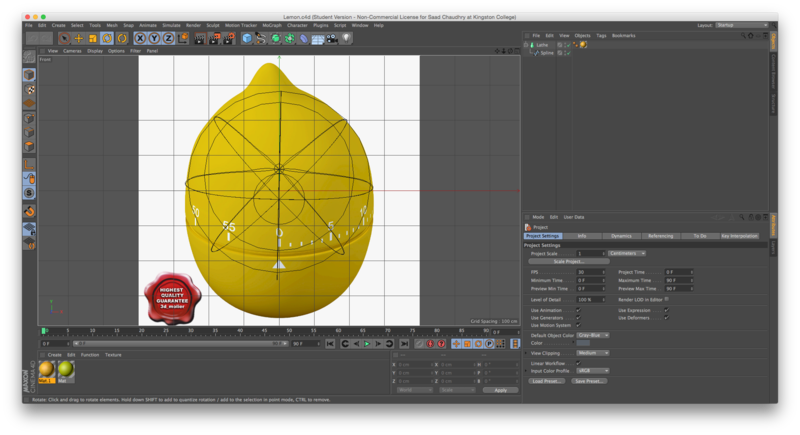 I used different tools such as cylinder, extrude, plane, symmetry and circle tools. 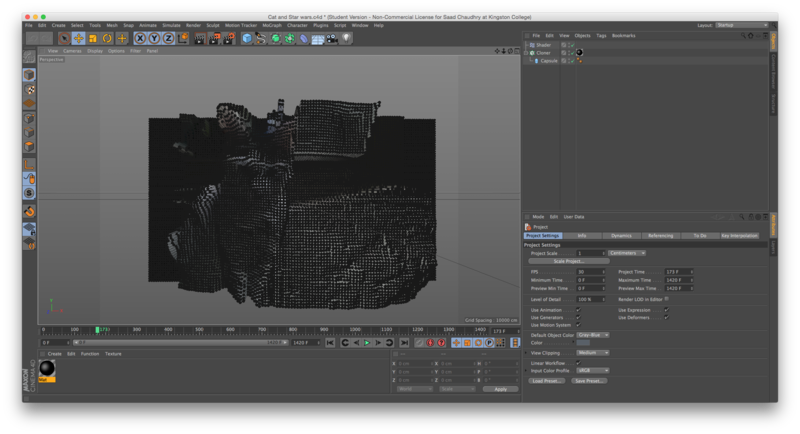 I found it quite easy using the tools and creating the image though it was quite time consuming. 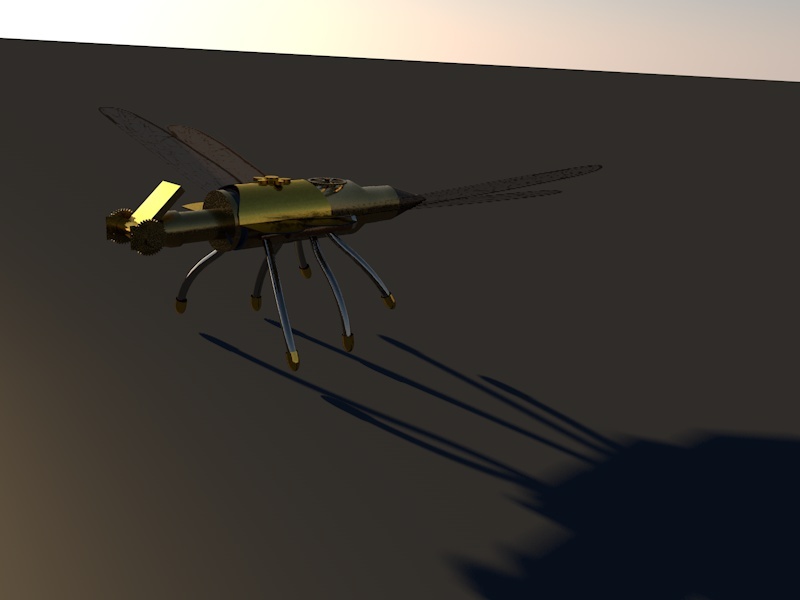 I did render the Dragonfly Robot with shadow on it. 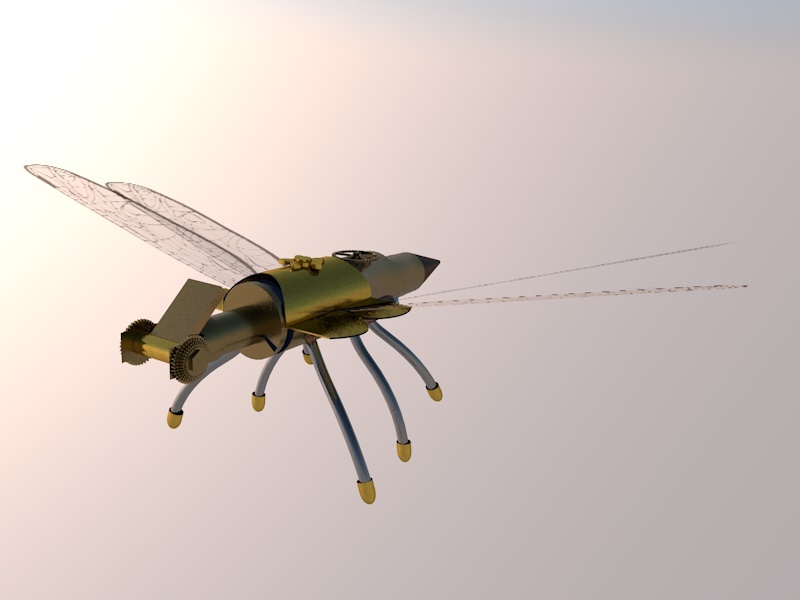 Here is my dragonfly robot. In the end it was not as complicated or hard to create as I first thought. 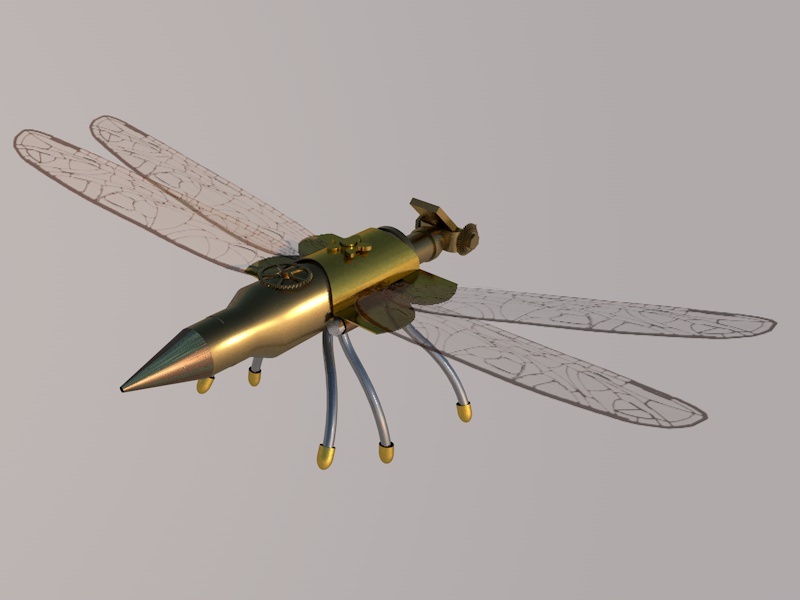 When I look at my dragonfly robot I feel it is quite similar to the original image so I am very pleased with my work and it looks real. 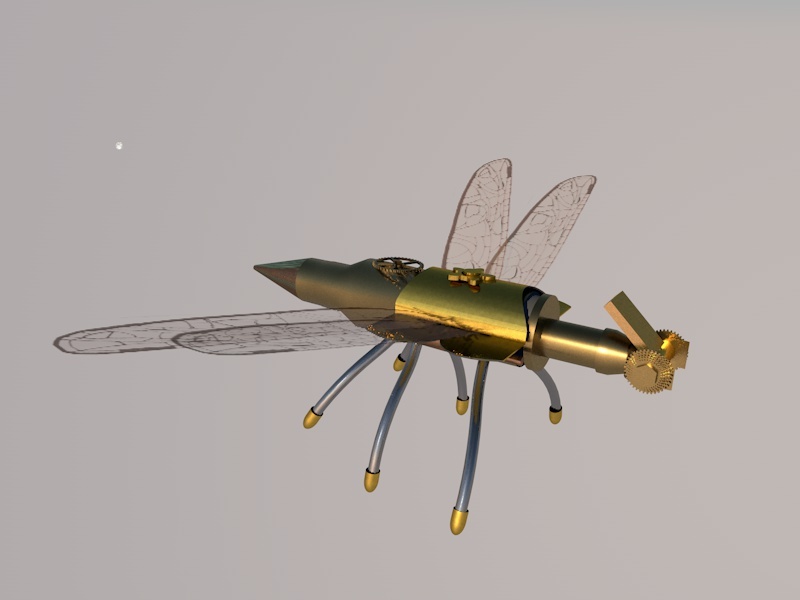 I have decided to experiment and animate the dragonfly robot to fly around in a landscape. 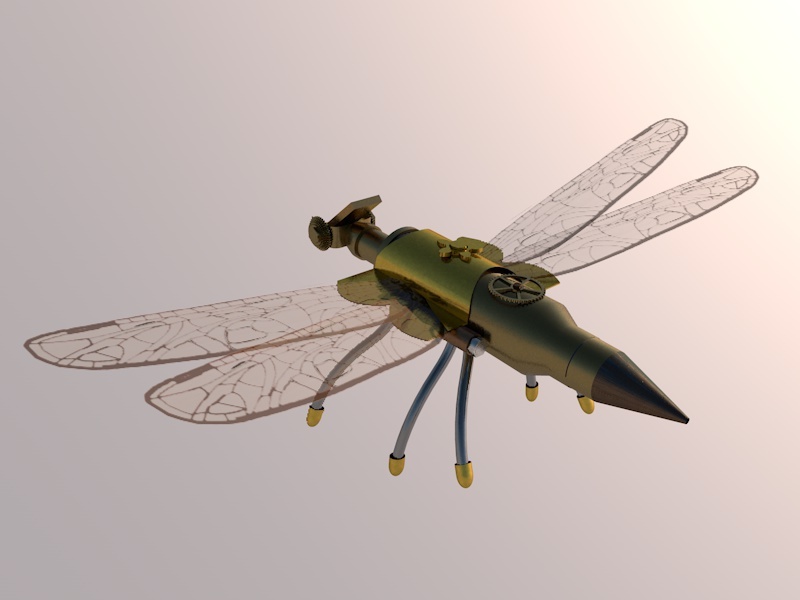 I have made the dragonfly robot fly through the building, cross a river and fly around the stadium. I used the camera to target the dragonfly robot and follow it with the camera behind. 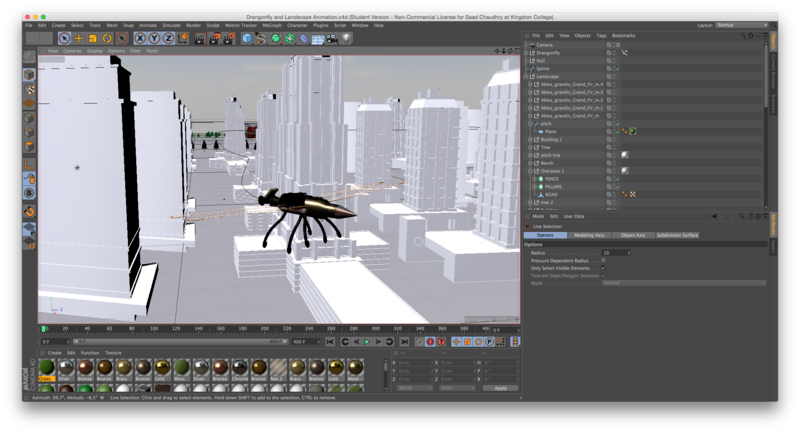 This is the scene of the dragonfly robot animation in Cinema 4D. I found it went wrong because it was too fast and missed shots of the dragonfly. 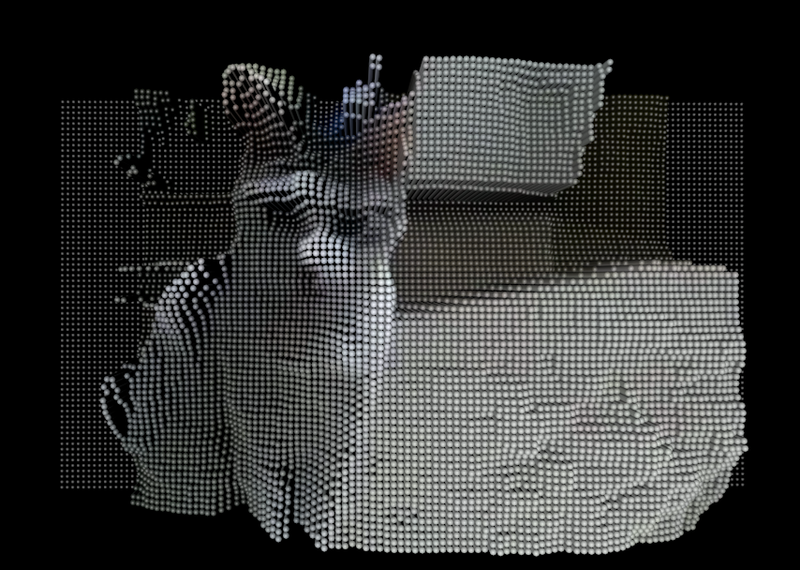 I didn’t realise that I have to click the camera target and figured it out so the next animation is more in sync. This shows how to follow using the camera more accurately. This is much better animated. I am quite pleased with my project. 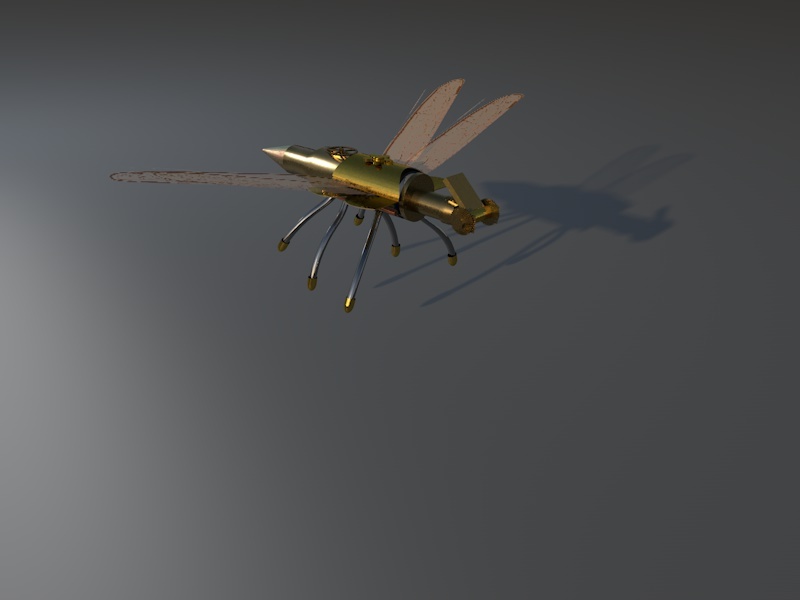 Part 2 of Dragonfly Robot animation. 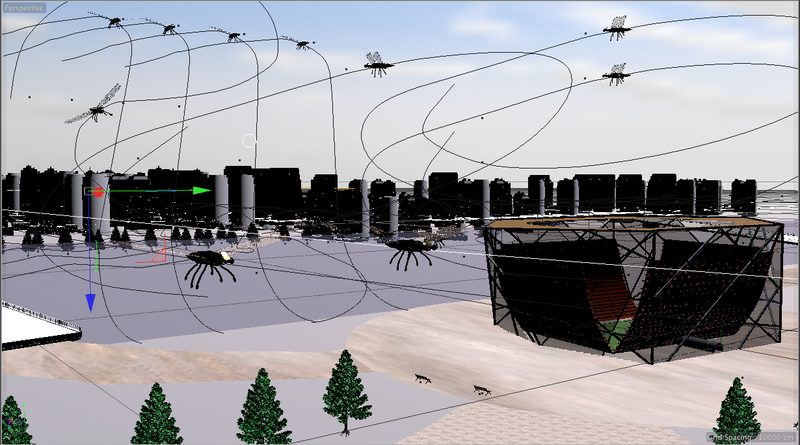 I was thinking that I would do another experiment to animate the dragonfly robot but this time creating lots of dragonflies flying around in the scene. It is similar to a plague of locusts. YUCK! 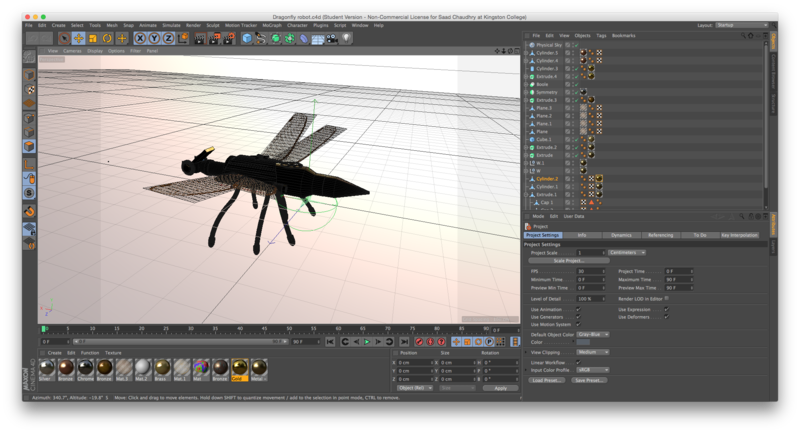 This is part 2 of the dragonfly robot animation in Cinema 4D and I have added lots of dragonflies. I think it looks pretty good and quite amazed with myself that I have been able to use all the stuff that we have learnt and able to link them together. 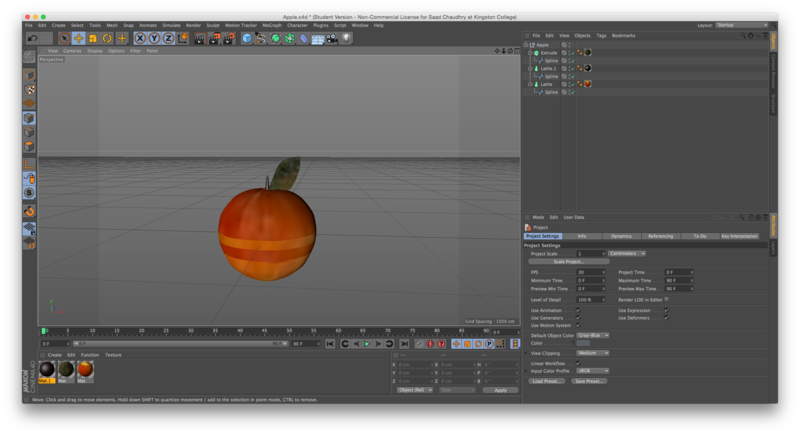 I am very pleased with the two videos and am very confident using the tricks and tools in cinema 4d. I would like to do more animation at some point with other projects. 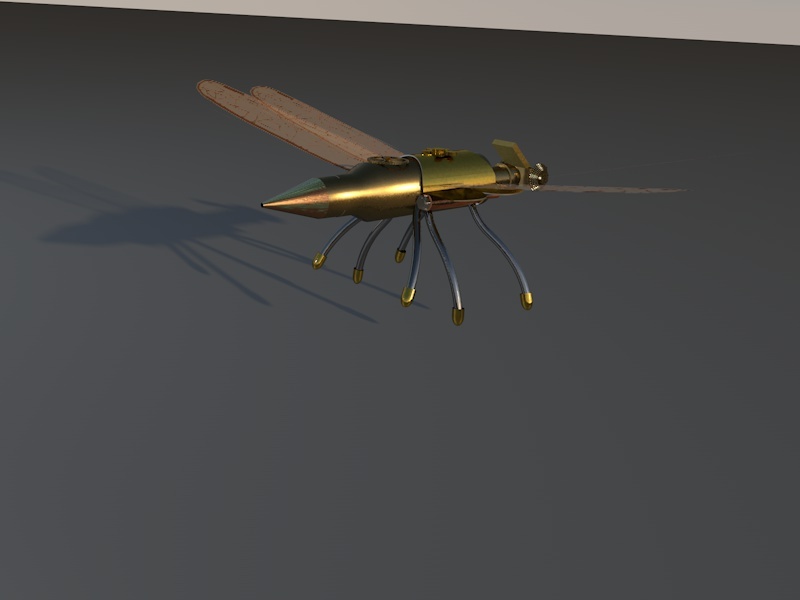 This entry was posted in 3D Modelling & Animation on November 15, 2014 by saadchaudhryme.